It has been a little over two weeks since the National Arts Centre Orchestra returned to Ottawa after concluding their tremendously successful 10-day Remembrance, Performance and Education Tour of the United Kingdom. The theme of the UK Tour – music as a force for healing and reconciliation – was a poignant addition in the commemoration of the centenary of the First World War. It truly was a “Tour to Remember”. The Tour received excellent media coverage, both nationally and internationally, in publications like the Globe & Mail, Macleans, Huffington Post Canada, The Ottawa Citizen, The Scotsman, The New York Times International Weekly, The Times, as well as on CBC Radio-Canada, the BBC, and many more. Media highlights are available as clippings via the link at the bottom of this page. 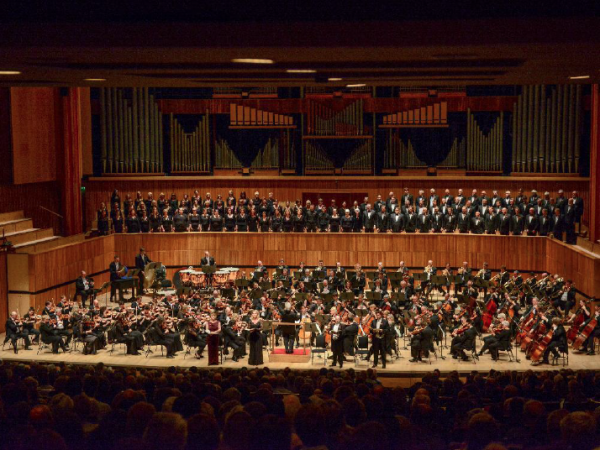 During the 10 days, the Orchestra was able to perform five major concerts, lead more than 50 education and outreach events across the United Kingdom, and conduct one major international broadband event. - Infinite memories and adventures experienced by NAC Orchestra musicians, staff, partners, Benefactors, students, concert goers and public! W1 Developments is proud to have sponsored the event tour.